awarded the title of "Messenger"
Spiritual people have been burned by not getting the facts from their reading. Look at what happened to the Heaven's Gate family. It was all a misunderstanding! Are you going to stand by and let these misunderstandings perpetuate? In investigating what Blavatsky has written and what others have commented in the years since the founding, I have NEVER, EVER seen even one report similar to what I am going to make here today. I believe the insights I was afforded came through a practice of decrees which were reportedly written by ascended masters, including Saint Germain, about 50 years ago. These are available through I AM Temple classes. Blavatsky reports that the earth is a globe in a series of seven globes comprising a chain. The earth chain contains seven kingdoms of nature. We know them as mineral, plant, animal, human. Three other kingdoms are said to be invisible and they are listed as 1st, 2nd, and 3rd elemental kingdoms. They are more commonly known as thought elementals, feeling elementals or feelings, and etheric elementals or the states of matter which are invisible except to kirlian photography as light. Each kingdom exists as "king" upon a globe. So that while the animal kingdom - which later overlaps with the human - inhabit the earth during their fourth root race, they are here with no interference from other evolving lives. The plants exist on the globe ahead of the animals and humans exist on the globe behind the animals. The entire chain consists of seven rounds of seven globes, which would mean 49 separate descent-ascent globe learning periods before animal progresses to human, plant progresses to animal, and so forth. When it comes time for their evolution to pass to the next globe, there is a form of assistance which I believe can be referred to as the kingdom's ascent. The dinosaur kingdom ascends simultaneous with the descent of the human kingdom. This takes a period of time equal to three races. 1st human race hovers over, within, and through the 5th race of the dinosaur-animal. 2nd race exists side by side on an inner level or soul level with the 6th race animal. Finally, the 3rd race human has progressed to the point where the form is sufficient for inhabiting, however since the 2nd-6th race is androgynous and a dual race, the 3rd - 7th race must split. In THE SECRET DOCTRINE this is spoken of as the separation of the sexes, but in my mind entails a separation of the human form from the "shista" form of the animal. It is possible that when the animal lifewave left earth, they left behind shistas of the animal kingdom. Likewise plants and mineral forms would not be the true forms, some may be shistas, translated as "remainders:" that which is left behind until the lifewave returns again. Those plants and animals which are not shista, may be specifically created for human needs. This would create an illusion for man, earth would contain a creation especially beneficial to the human, but not particularly relevant for the lives of the true animals and plants. Plants did not flower until the human really got a foothold, approximately 4-150 million years ago, when they also began to bear fruit. Could this have been the influence of the materialization of the human? When the argument of the souls of the animals and plants is looked at with the question how could these forms exist without souls, the reader should be referred to Leadbeater's books where he discusses an angelic evolution being present - a group soul of a sort which may travel in accompaniment with the human souls. 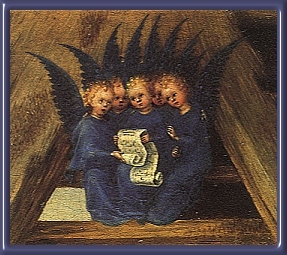 Likewise, the dinosaurs possess relationships with their groups of angels which ensoul life for their benefit. In any event, this is one possibility. I do not profess to be an expert on the details of this - may I be so bold as to say - theory. I am a housewife with a bachelor's degree in psychology. I do hope that there are experts who can develop and advance this amazing concept of life on earth, but I do not know how to reach them. Fourth race of man exists on earth without interference, in their beautiful new human forms, (which by the way they would exist in all along, just not physically until the third race). Fifth through seventh races exist in and through the bodies of the ascended master kingdom, or more technically, the next kingdom in nature, which I have named Girasas. Ascended Master would be a term applying to the perfect rendition of a dual being of sixth race status, a being who is half human and half 'next kingdom', such as Jesus. There are many mysteries involved here since it is believed that only seven lifewaves make the seven rounds on the seven globes. However, perhaps a Girasas Kingdom has gone beyond the need to make rounds and can exist as solar beings, visiting each globe at will and performing work assisting the life as permitted by karma. Our need during the fifth through seventh races is to ascend and they are the beings who assist us in our ascension. Perhaps there is an immortal flame in their being which can be traded for our eternal flame. What they accomplish for themselves is they turn all of the earth into their habitat, perhaps gaining physical form, but for the sake of purity, I can only establish them here in my mind as beings of light. Perhaps at one point the whole planet exists as a planet of light, all plants, animals, and human forms being transmuted into light forms. In any event, their advanced life permeates our time left here on earth. The justice we find for man is that all blessings of an advanced evolution become our gifts for the asking. Our responsibility becomes one of inhibiting our material actions and proceeding with our lives on an inner or mental level in observation of their advanced civilization. The keynote of man is the family. This can be seen as a blessing to the animal kingdoms, and as one that will carry a human trademark even unto the greatly civilized forms which will be descending around us. While there is much more for comment and thought, in order to make this page readable, I will end here. The ascended masters are present and so is a new kingdom which I call Girasas. They will be working their way through our physical bodies and our human constitution and they are discernable in the laws of our lands and in all good work. One day, they will make themselves known to us through communication and visible interactions. We stand much to gain by cooperating with this great process of ascension. The earth can be freed from human error and our freedom will remain intact in a remarkable way, serving life as God intended through cycles of good and bad. What good we can accomplish is in our future. What wrong we can prevent is avoidable now. The ascended master light is manifesting physically in our world and we are blessed by miracles unimaginable to the human mind. I have been a student for 40 years. I don't think I'm unusual or any different than the rest of the human family, except for one thing: I've been studying the new age, ascended master, literature and trying it exactly as they recommend: live purely, meditate; I do it all. And to what result you might ask? Now that I have something to report, I can't find the way to get listened to. H.P. Blavatsky in THE SECRET DOCTRINE makes history by reporting on the existence of seven races, only how are the races different? Since all of recorded human history is reportedly the fifth root race, what comparisons can be made? The seven races cover the entire period of man's existence on the earth. We all know of dinosaurs today, but 100 years ago when Blavatsky wrote THE SECRET DOCTRINE, they were a rarity. The human kingdom began its descent into matter, so she reports, as an etheric race. The first race hovered above the earth which was then inhabited by dinosaurs. How were our physical bodies developed?